With 12 floor plans to choose from, you’ll find your perfect layout at Ashley House Apartments. Ashley House features studio, one, two, and three bedroom apartments for rent in Katy, TX, with living options that appeal to residents from all walks of life. No matter the size of your household, you’ll find the right floor plan to meet your needs in this brilliant community. You’ll love spending time enjoying the community amenities at Ashley House. Relax next to the swimming pool on sunny days. Work out in the state-of-the-art fitness center or join a pick-up game at the indoor basketball court. No matter how you choose to spend your free time, endless options for fun and entertainment await in your new home. 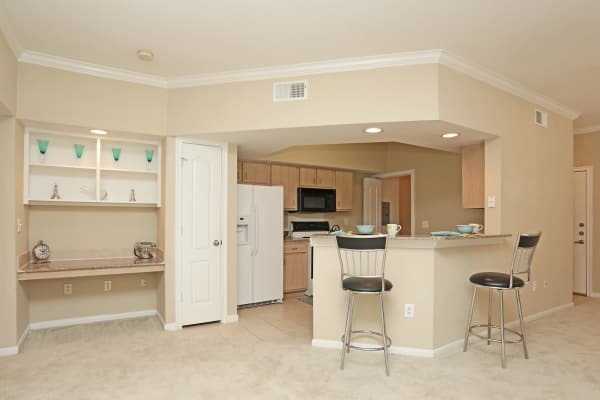 Browse our selection of studio, one, two, and three bedroom apartments for rent in Katy, Texas, then contact us to schedule your personal tour.